Given the recent dry conditions you can hardly complain about being at the centre of a storm. This is the storm that doused Hillgrove in 82mm of rain on 11 Jan in a matter of hours. They estimate that 90% of the soil degradation happens from 10% of the weather events (storms). Not hard to imagine when there is so little ground cover on so many farms around the state. Nikki and I have had the rare privilege of our home being struck by lightning twice in recent weeks. The first time was in a storm in December and then again by the above storm in January which was more severe in lightning activity but not as intense on the rain out at our farm. The outcome for both lightning strikes was almost the same in both instances, hit the front lawn and watering system, smashed the pool pump and cleaner, struck the bore (400m) from the house. The pump shop has us tagged as the most unlucky people going in Boorowa and not sure yet what the insurance company thinks of us. I have since become a little intrigued about lightning and how it travels. I found the first three minutes of this YouTube video interesting. The female kill in Australia was back to 48.8% in Nov and is still critically high and exceeds other recent drought years. 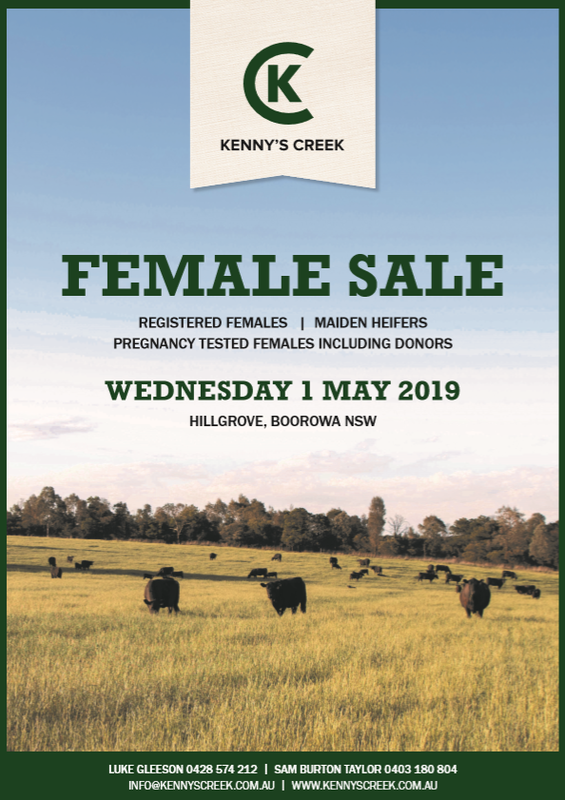 Simon Quilty estimates that in 12 months the herd will liquidate 1.2 to 1.6 million head which will put the herd at the lowest level in 22 years – 26.55 million by end of June this year. For 2018 total slaughter of cattle increased by 10% and exports correspondingly by 11%. Asia has been the key market for growth. 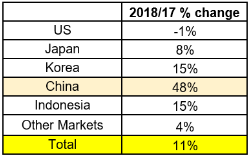 China alone has increased imports of Australian beef by 48%. 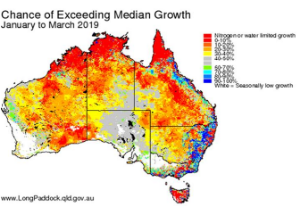 Extreme hot weather has robbed soil moisture at a time when it is most critical for the northern NSW growing season. Total soil moisture is the best way to measure a drought. 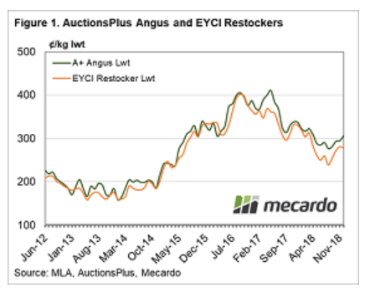 On average Angus cattle over the last 6 years have attracted a 5.3% premium on Auctions Plus in comparison to the saleyards. 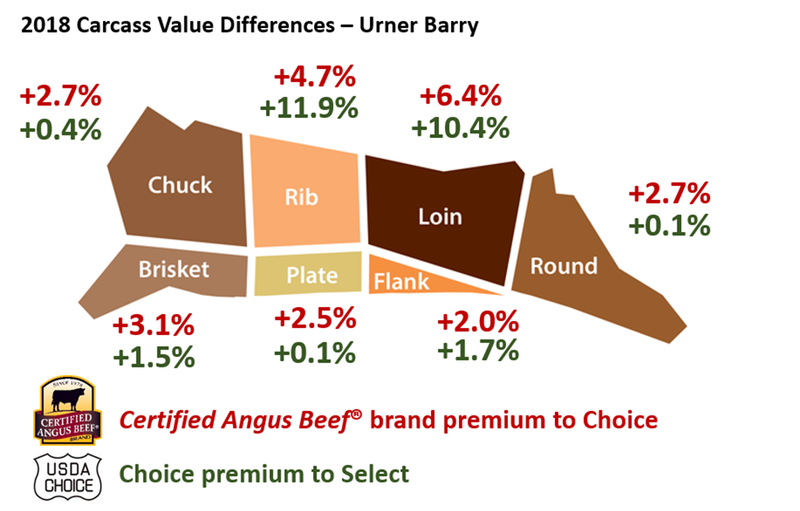 The Angus premium has been improving and 2018 was the best year with an 8.7% premium. 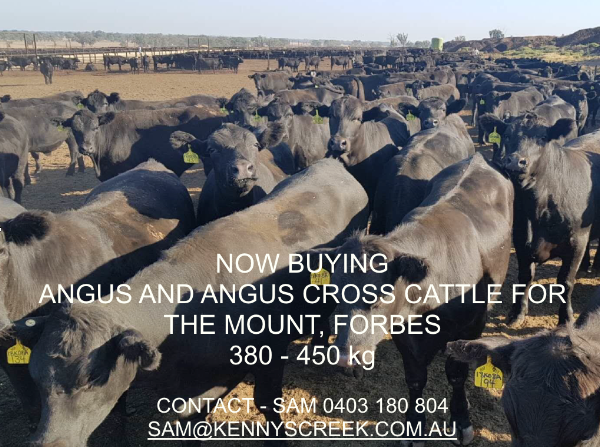 In the USA they have had a similar outcome - Certified Angus Beef earning producers an added USD 21.14 per head (remember USA beef grading starts with Select then Choice and then Prime for the best quality). Is beef responsible for climate change? The former UN climate chief suggested that in 10 to 15 years carnivores should be made to go outside the restaurant to eat meat. There has been a widely spruiked figure saying if you become a vegetarian you can cut your greenhouse emissions by half. If you turn to more academic literature which has been peer-reviewed they show that emissions can be reduced by 540kg of CO2 per person. This would correlate to a reduction of 4.3%. Interestingly the money saved on a vegetarian diet then contributes further to emissions in what they call the ‘rebound effect’. It is estimated that the increased spending from the rebound effect reduces half of the saved emissions which brings you back to roughly 2%. 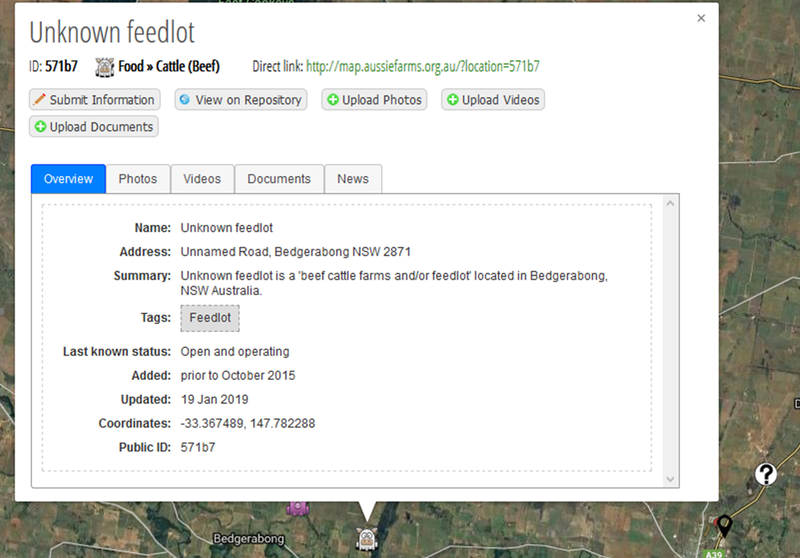 I was interested to see The Mount feedlot feature on the Aussie Farms website. What an innocuous name for a site designed to deface Australian Farms. As you will note from the above the site is devoid of much useful information. Disturbingly it creates a platform for individuals to locate and then load photos and comments. Last year we had an individual at the front gate looking to put a drone up. He was not trying to be inconspicuous but his intention was clear. The NFF recommend we contact Aussie Farms and request removal. 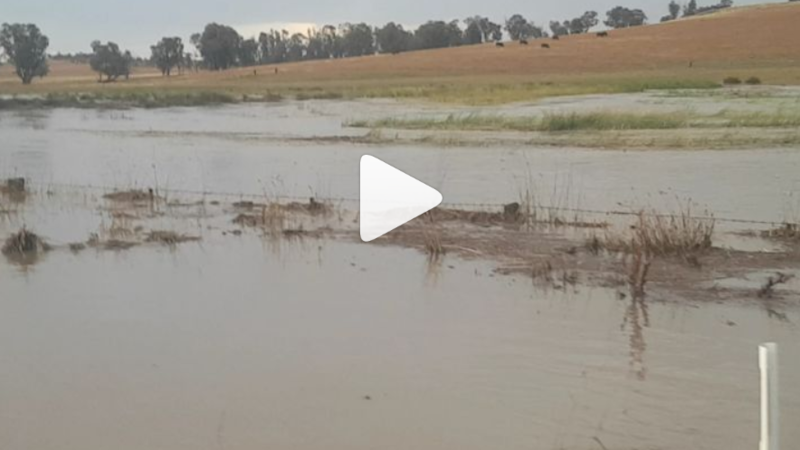 Amy (from Breakfast Creek) looked at the Aussie Farms facebook page and as soon as you request to be removed, it flags it and therefore could draw attention to your farm. I have another idea. Perhaps the NFF or similar should run a campaign for farmers to go on and upload good farming photos. If we do this ourselves one at a time then it will surely create more attention for farms like The Mount.